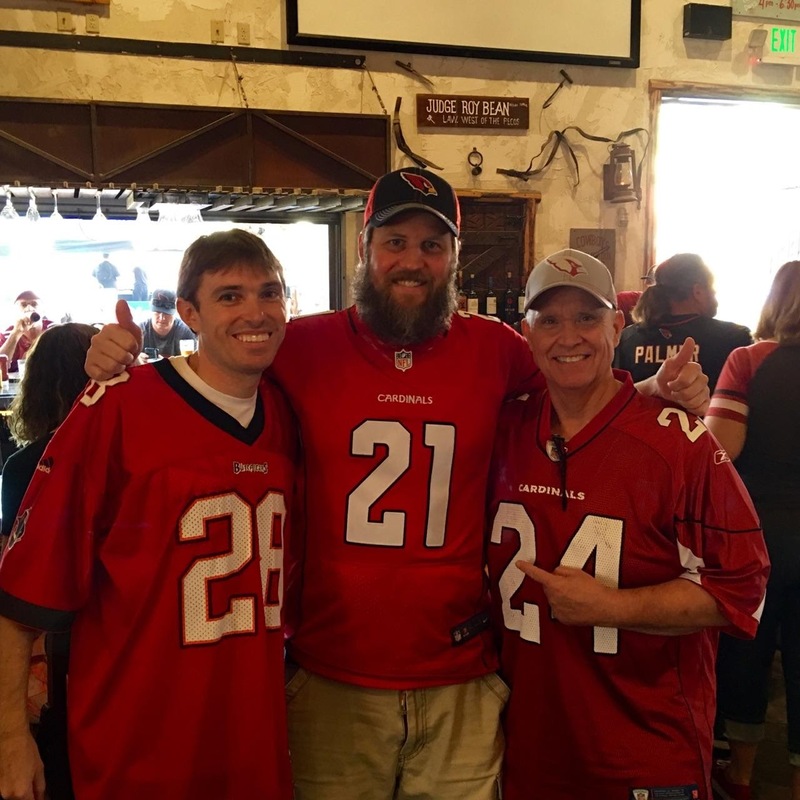 Arizona sports teams improved to 3-0 in 2016 when the Arizona Valley Alumni Chapter is in attendance, with the most recent 40-7 victory on Sunday, September 18 by the Arizona Cardinals over the visiting Tampa Bay Buccaneers. Brothers enjoying Saddle Ranch before the Cardinals game. Brothers met up at Saddle Ranch in Glendale’s nearby Westgate Entertainment District before the game. After enjoying food, drink and entertaining company, they headed over to University of Phoenix Stadium to watch the Cardinals first win of the 2016 season. While the game was 0-0 after the first quarter, the Cardinals put the game away with 24 points in the second quarter, including 14 in the last two minutes. The team compiled 416 total yard of offense and forced five turnovers, while allowing 3016 yards and committing no turnovers. The next Arizona sports outing for the Alumni Chapter will take place on October 22, as we enjoy Arizona State University’s homecoming game versus Washington State. Stay tuned for more details.